For purchase of 5 or more copies, Special Discounts will be automatically applied in the Cart. 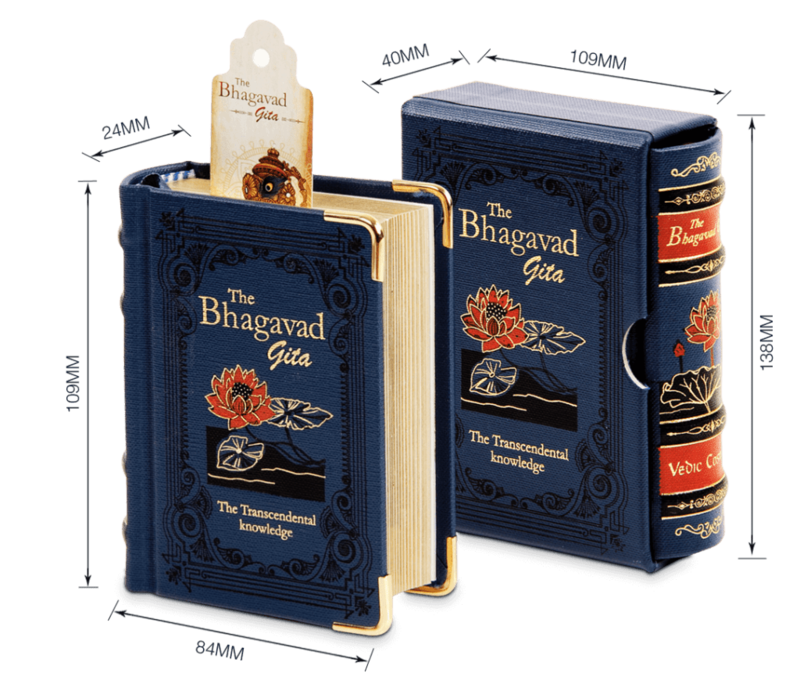 This edition has been made with a high quality cloth based cover material for achieving maximum endurance and beautiful spine embossing and comes in a neatly handcrafted rigid box styled like a cassette cover. 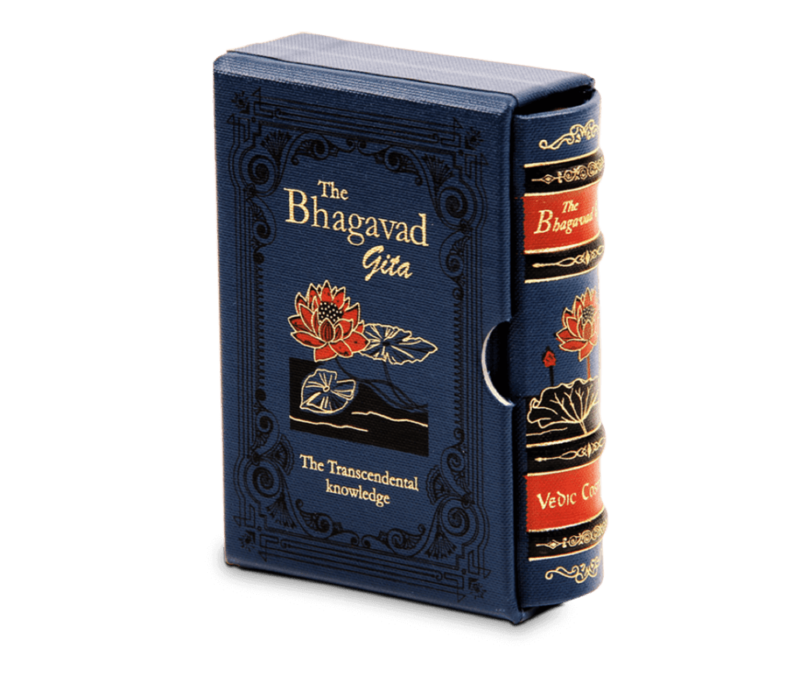 This edition contains the original Sanskrit verses with their transliteration and translation in English alone. There is a creative illustration at the beginning of each chapter. To add more elegance, this edition has been embellished with artistic foiling, gold gilded fore edges and gold plated corner clips. 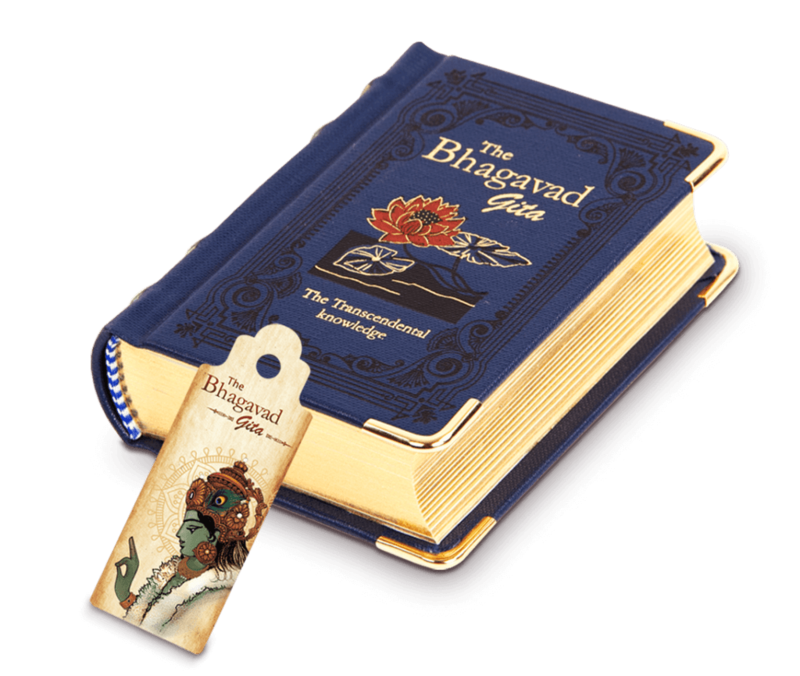 It comes with a cute little bookmark featuring Lord Krishna. Copyright © 2019 Vedic Cosmos. All rights reserved.